Green Bay, Wisconsin may be best known as the home of the Green Bay Packers. It’s the county seat of Brown County and the third largest city in Wisconsin, with a population of over 100,000. Green Bay is predominantly industrial and sits at the head of Green Bay, which connects to Lake Michigan. As with many cities, there are numerous residents in Green Bay who struggle with drug and alcohol addiction. If you live in Green Bay and have fallen victim to substance abuse don’t hesitate to seek treatment. There are enormous resources in at your disposal. Green Bay’s population is 77.9% white, 13.4% Hispanic or Latino, 3.5% African American, 4.1% Native American, and 4% Asian. Green Bay has a poverty rate of 18.2%, which is higher than Wisconsin’s poverty rate of 12.1%. The median household income for Green Bay is $42,826, which is significantly less than the state’s median income of $55,638. The largest employers in Green Bay are Humana, Oneida Nation of Wisconsin, and Schneider National. Methamphetamine and heroin use are of particular concern in Brown County, where Green Bay is located. Police seized three times the amount of methamphetamine in 2017 than in 2016. Heroin and other opioid use is still a concern as well. There were 11 deaths from drug overdoses in 2017, which is down from 19 in 2016. Part of the reason for the drop is the availability of Narcan, a medication that helps to reverse the effects of an opioid overdose. To help combat drug distribution, Brown County has formed a full-time task force. The task force includes members of the Green Bay Police Department and the Brown County Sheriff’s Department. The task force conducts investigations and provides training to local community groups. Statewide, alcohol is a concern. 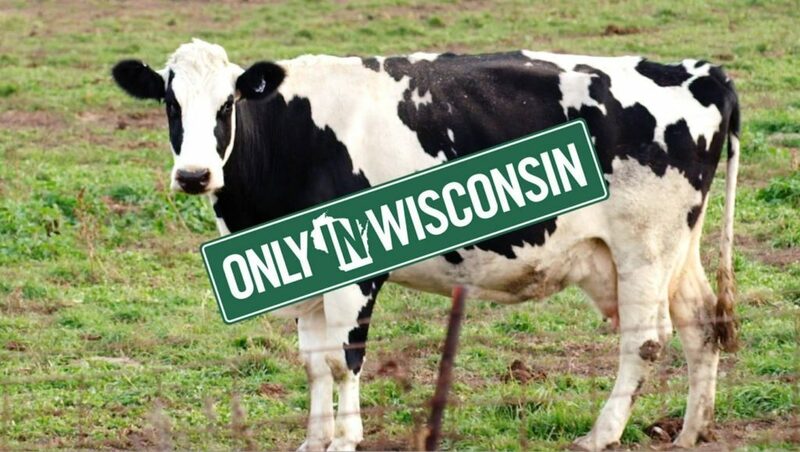 Wisconsin has a per capita alcohol consumption rate that’s 1.3 times the national average. Wisconsin ranks the third highest in the country in adult binge drinking. The rate of binge drinking among teens has decreased, though. If you have close family members who struggle with addiction, you are more likely to struggle as well. Genetics account for 50-70% of your risk of becoming addicted to drugs or alcohol. When you’re experiencing stress, you’re more likely to turn to drugs or alcohol to cope. You can be especially vulnerable during major life events such as marriage or divorce, job changes, or moving. Using while young. If you used drugs or alcohol as a child or teenager, you’re more susceptible to addiction. When you’re young, your brain is still developing, and using drugs and alcohol affects your brain’s development. If you were emotionally, physically, or sexually abused while growing up, you may be more vulnerable to addiction. Drugs or alcohol may be used to help you cope with past trauma. Social expectations. You may feel like you need to use drugs or alcohol in order to fit in with your friends or family. Addiction takes hold, in part, because of how drugs and alcohol interact with your brain. Many drugs cause your brain to release large amounts of dopamine. Dopamine is a neurotransmitter that is tied to rewarding behavior. When dopamine is released, you may feel euphoric, and you reinforce the behavior that caused the dopamine release. As you brain releases dopamine, it gets used to it, and you need more dopamine to feel the same euphoric effect, leading to more drug or alcohol use. It’s rare that someone tries drugs or alcohol once and is immediately hooked. Drug or alcohol addiction is actually a process. Someone may progress through the stages quickly, or it may be a process that takes years. Whatever stage you or loved one is at, though, it’s important to get help. Drug or alcohol addiction begins with initiation. This is the first time someone takes drugs or uses alcohol. This is often, but not always, during adolescence. Initiation may happen at a party or other social gathering with some amount of peer pressure. This can lead to the next stage: experimentation. Experimentation is using drugs or alcohol very occasionally. You may just use it at parties or with certain friends. You don’t need or crave drugs at this point. You can still exercise choice. The next stage is regular use. Drug or alcohol use at this point is more of a habit. You may use when you feel a certain way or at certain times. You may start using drugs or alcohol alone and you may start neglecting some of your responsibilities. This can lead to risky or problem use. Risky or problem use is when you’re starting to see more negative consequences from your addiction. You may stop going to work or school and you may start losing friends due to your changing behavior. As risky or problem use continues, it can turn to dependence. Dependence is when you feel you need drugs or alcohol to get through the day. You experience withdrawal and intense cravings when you don’t use. You’re also building a tolerance, so you need more drugs or alcohol to get the same effect. This leads to the final stage, which is a substance abuse disorder. You no longer have control of your drug or alcohol use, and you continue despite the harm it’s doing to your life. You avoid your family and friends and you stop doing what you used to enjoy. Your life is about your addiction. Issues at school or work. They may be late to work or school, or they may not go at all. When they do attend work or school, they seem disinterested and their performance is declining. Physical changes. Their eyes may be red, and they may gain or lose weight rapidly. They may be more tired than usual. They may also neglect their personal grooming. Financial problems. They no longer can keep up with bills, and they may suddenly need money. Altered behavior. They may be more depressed or irritable than usual. They may act secretive and no longer spend time with friends or family. If you’ve noticed that you or a loved one is showing the signs of addiction, it’s important to get help. There are treatment centers ready to assist you. Whether you need full-time treatment or need a flexible schedule, there’s a program to meet your needs and help you get on the path to recovery. The first step is getting in touch with a treatment center. When you first contact a treatment center, you’ll speak with an admissions counselor. This first contact is called pre-intake. The admissions counselor will ask some basic questions about who you are and why you’re seeking treatment. You’re welcome to ask questions about the program as well. You may want to ask about their schedule and their approach to treatment. If the program seems like it would work for you, then they’ll work with you to schedule an appointment for your intake. Intake is the term for your initial appointment at a treatment center. There are several steps to intake, including being assessed by your treatment team, making financial arrangements, and getting to know your treatment schedule and program. One of the most important things you do during intake is getting to know your treatment team. Due to the complexities of addiction, there are several people who will assist you as you recover. Your treatment team may include a case manager, a medical professional, and a mental health professional. Your treatment center will also assist you in making financial arrangements. They’ll work with your insurance and help you develop a plan that works for you and your situation. You’ll also find out the details of your program. If you’re going into an inpatient program, you’ll get to see the facility. You’ll learn about program requirements and rules. There may be limitations on visitors, for example, and there may be certain items you can’t bring with you into treatment. When you meet with your treatment team, they will conduct assessments. Assessment means getting to know you, your history, and your needs in order to develop an effective plan for treatment. You’ll meet with a doctor or nurse, for example. They may have you fill out questionnaires about your health history. This may include any past or present health issues, any prescriptions you take, and whether you’ve had surgery in the past. They will also interview you about your health history and conduct an exam. You may also need to provide blood and urine samples. This is done so that your team knows whether you have health issues that need to be taken into account during your treatment. If you have been taking opioids due to pain, for example, they’ll need to treat your pain as you stop taking opioids. You’ll also meet with a mental health professional. This may be a social worker, substance abuse counselor, psychologist, or psychiatrist. They may also have you fill out standardized forms regarding your history. It may ask about your family dynamics, your mood, and how you react to different situations. Your mental health professional will also interview you and may also conduct an initial counseling session. If you have underlying mental health issues such as depression or anxiety, it’s important to take those into account during your treatment. After you’ve completed intake, the next step for most is detox. Detox means no longer taking drugs or alcohol and letting them work their way out of your system. When you stop taking drugs or alcohol, you will experience withdrawal. Although you can attempt detox at home, for most it’s best to do a medically supervised detox at an inpatient treatment center. This is due to the severity of withdrawal symptoms. If you go through a supervised detox, staff can provide medications to assist you with your withdrawal symptoms. Detox stays are relatively short and last three to seven days. When you picture someone going to “rehab,” you’re probably thinking of an inpatient treatment center. In inpatient treatment, you live at the treatment facility. Without the distractions of your day-to-day life, you can focus exclusively on your treatment and recovery. Residential treatment centers provide a home-like environment for your recovery. You live at the treatment center, so your housing and meals are included. You participate in a rigorous treatment schedule, which typically includes individual and group counseling and educational programming. Depending on the treatment center, you may also participate in art or music therapy, equine or other animal therapy, or other activities like golf or yoga. You may live alone or you might have a roommate who is also going through recovery. You will need to abide by the program rules, which may include a time for lights out, restrictions on visitors, and restrictions on when and if you can leave the facility. Residential treatment center stays vary in length. You may just stay a week or two or for 30 days or more. It’s a chance to leave your present environment and start fresh. Living away from family and friends isn’t a good fit for everyone. If you want to live at home, but still want intensive, focused treatment, you may want to consider a partial hospitalization program. A partial hospitalization provides treatment during the day. You attend programming for up to five days per week and six to eight hours per day. Schedules vary, but may include individual and group counseling, educational programming, and other therapeutic programming such as music or art therapy. After the end of your treatment day, you return home. If you have family to take care of, or simply want to remain at home, a partial hospitalization program may be a good fit for you. Outpatient treatment centers offer treatment on a more flexible schedule. If you have family to care for, work responsibilities, or want to continue attending school, an outpatient program may work best for you. You can continue to live in familiar surroundings and maintain much of your regular schedule while still getting the treatment you need. Intensive outpatient programs provide you with the treatment you need on a schedule that meets your needs. You typically attend programming for 10-12 hours per week in the beginning, and you may attend less as your progress through treatment successfully. Intensive outpatient programming may be during the day or in the evening, so you can still go to work or school while getting the help and support you need. Programming includes individual counseling, group counseling, and educational classes. As you finish your treatment program, you need a plan for what’s next. It can be overwhelming to think about resuming your old life and responsibilities and leaving the safety of a treatment program. Your plan for continued support after your treatment ends is called aftercare. If you don’t have a stable living environment, this is something your aftercare plan should address. You may want to try a sober living home or live with supportive family or friends. You’ll also need a plan for ongoing support. Although family and friends can be helpful, many benefit from connecting with other recovering addicts. You can find invaluable support by attending support groups with others in recovery. Many recovering addicts attend 12-step meetings, which provide structure and mentoring to those in recovery. If you’re religious, you may also find support and a sense of community by attending religious services. Your aftercare plan should also address your sense of purpose. If you don’t have steady employment, for example, your aftercare plan should address this. You may want to attend training for a new type of employment or go back to school. You can also find purpose in hobbies and in volunteering to support causes that are meaningful to you. Sober living homes provide safe, sober housing for those in recovery. They are group homes, which provides a sense of community. In a sober living home, there are rules you need to follow. Sobriety is required, of course. You’ll also be expected to contribute to the household by paying rent or utilities and doing chores to keep your house clean. There may be a curfew and you may be required to be either be employed or actively seeking employment. You may also be required to attend house meetings. These meetings address household issues and can also provide an outlet for sharing your concerns and challenges in sobriety. Your roommates can assist you when you’re going through a difficult time. Sober living stays vary, but most homes allow you to stay 90 days or more.